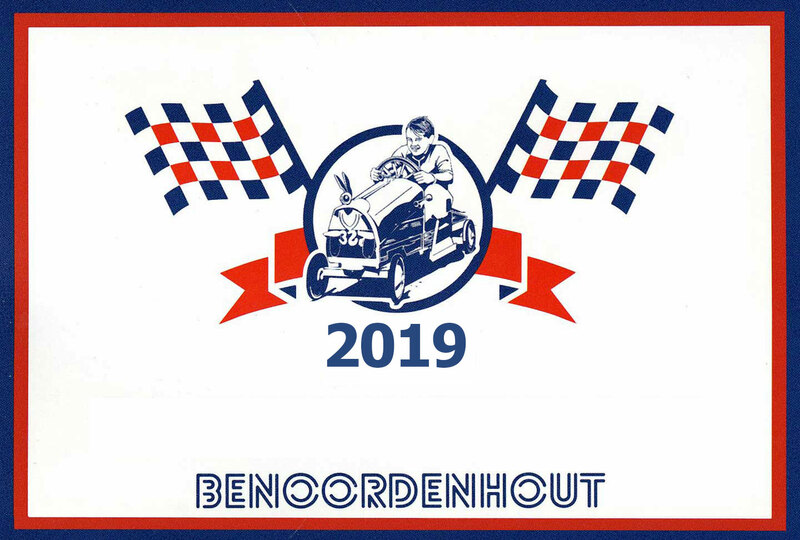 The Benoordenhout includes about 12,800 residents and 6,770 houses. The municipality designated the district as a conservation area according to the spirit of the Historic Buildings and Ancient Monument Act of 1996. The spacious character is a result of the early large estates during the 19th century and the later urbanization at the beginning of the 20th century. The characteristic facades and clear urban development give the neighbourhood a monumental appearance. Situated so close to the city centre and government offices, the stately Benoordenhout is a very popular and typical The Hague living area. The houses are spacious and comfortable and include numerous large villas as well as single-family dwellings and apartments. Most of the houses are privately owned. Some parts of the neighbourhood have a mixture of residential and office use, like the Nassau area, the Carel van Bylandtlaan, the Raamweg and the Benoordenhoutseweg. The area is very conveniently situated with regard to the exit roads and the town centre. The area is bordered by estates, like Clingendael and Oosterbeek. 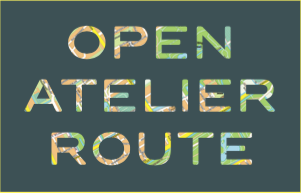 In the neighbourhood itself, you will find the former estates Oostduin- Arendsdorp and the ‘Bosjes van Zanen’. The green zones, like the Rosarium on the Jozef Israëlsplein, give the area a residential character, as well. The more than 100-year old Jan van Nassaustraat is considered the most beautiful street in The Hague and is the architectural focal point of the Nassau area. The Van Hogenhoucklaan is a characteristic wide lane with beautiful trees. 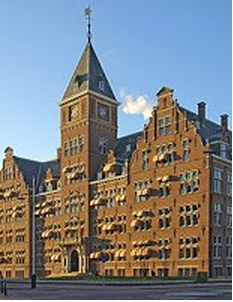 The monumental ‘De Hogenhout’ used to be a live-in hotel but was used as an office for a number of years by Shell. But the building has once again been divided into apartments. a wide range of excellent sporting facilities. In our neighbourhood you will find a variety of very special places and buildings. As you take a walk along the streets of the Benoordenhout, you will be amazed by the different shapes and architecture of its buildings - from offices to living quarters. This remarkable red-bricked building built in the style of the Amsterdam School can be found at the end of the ‘Utrechtsebaan’ and was designed in the years 1921-1924 by Herman Roos and Willem Overeijnder. The official name is Petrolea, as it was originally built as the head office of the American oil company Esso. The building has an office space of over 10,000 square metres. The tower, decorated with an elephant of stone, is 56 metres high. Many different companies have found a place in this landmark. ANWB was founded in 1883 in Utrecht as the “Algemene Nederlands Wielrijders Bond”, or the Dutch Bicyclists Association, but by the end of the 19th century, it was providing assistance not only to bicyclists but also automobilists and water sporters. From then on the abbreviation ANWB was used. 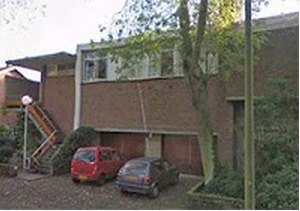 Although the headquarters of the ANWB is actually within the municipality borders of Wassenaar, making the ANWB Wassenaar’s largest employer, this office is still considered a Hague office as the municipality of The Hague is the legal owner of the land. The ANWB office, situated at the Wassenaarseweg 222 dates from 1960 and has been extensively renovated in 2003. It is situated on a piece of land that previously belonged to the Clingendael estate. The Worldwide headquarters of Royal Dutch Shell is located on the Carel van Bylandtlaan. 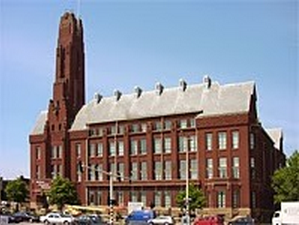 The oldest part with its unusual towers was built in 1915 in the neo- renaissance style by the architects, the brothers M. A. and J. van Nieukerken. In 1915 the building was totally standing in meadows, and in 1928 it was massively enlarged in the same style. It wasn't until 1986 that a totally different and modern style was adapted for the extension. Another major renovation took place across the street in 2006-2007, giving the whole area a quiet and completed image. All the buildings are now connected by tunnels and in one building there is even a hotel for visiting Shell employees. At the beginning of the Benoordenhoutseweg - right at the end of the Utrechtsebaan - is Holland's first residential hotel, Huize Boszicht. 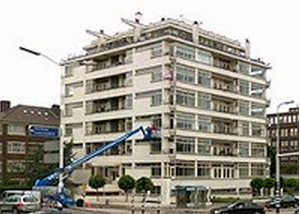 Built between 1918 and 1920 by the architect W. Verschoor in the New Hague School style, it was an apartment complex, but complete with a restaurant, a billiard room, common living room and garden. Two concierges kept everything in running order. This concept proved to be successful and in 1925 Verschoor built 'Arendsburg' on the Wassenaarseweg. Soon after other architects followed suit building 'Duinwyk' on the Van Alkemadelaan in 1929 - 1932 and "'Cats heuvel'' in de Statenkwartier in 1928. 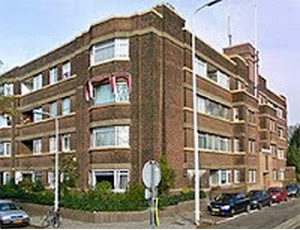 The very first apartment building in The Hague is also located in Benoordenhout - Nirwana, built in 1929 by the architect Jan Duiker. This six-story building, located on the corner of van Alkemadelaan was built in the Nieuwe Zakelijkheid/New Business style. The house on the Bunker at Ruychrocklaan nr. 221 is a rather unusual house. It is built from a World War II bungalow design on the roof of a bunker by the architect R. Romke de Vries. In October 2007 this building was given the status of a protected monument.